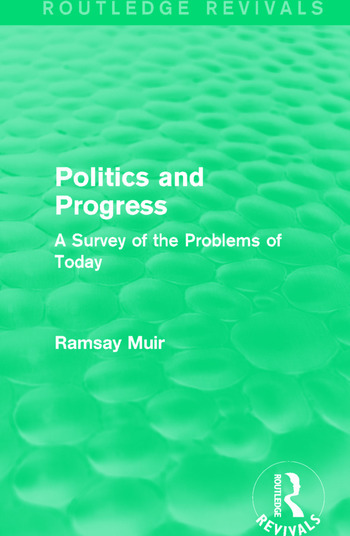 In Politics and Progress, Muir aims to outline the political and social aims of liberalism and how it differs from conservatism and socialism as well as philosophising what a truly liberal society would look like. Originally published in 1923, this study details the political situation as it stood then, the past achievements of liberalism and what immediate problems society is facing that need to solved. This title will be of interest to students of politics.